Together with Purdue and the City, New Chauncey welcomes back the students to West Lafayette. It’s a great excuse to walk around the neighborhood and meet your neighbors and the students who will be enjoying West Lafayette for a few years. Join us on Tuesday August 23, 5:30 PM @ Graduate Student Center (RM 105). It is located at 504 Northwestern Avenue inside the Northwestern parking garage. 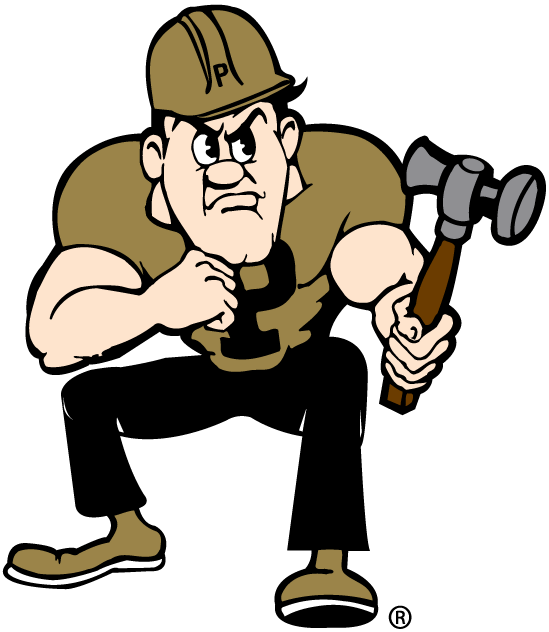 Purdue, West Lafayette to welcome students living off campus WEST LAFAYETTE, Ind. 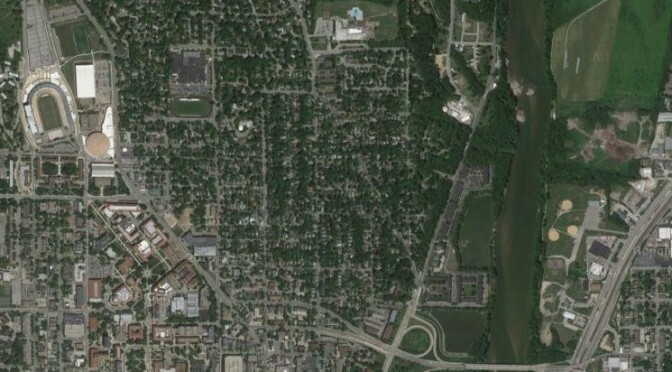 – For the 17th consecutive year, volunteers from Purdue University and the city of West Lafayette will go around the New Chauncey and Northwestern Heights neighborhoods on Tuesday (Aug. 23) evening to meet students living off campus and welcome them to West Lafayette and Purdue. “Each year, thousands of Purdue students live off-campus and are an integral part of the Purdue and West Lafayette communities. We want to welcome our students into their neighborhoods and provide them with resources for living in the community,” said Frank Dooley, vice provost for teaching and learning and chair of the Purdue Community Partnership Team. student residences, and door hangers with information about Purdue and West Lafayette that they will leave at each residence they visit. Volunteers will then divide into small teams and walk around the neighborhoods to make their visits. Meet and Greet is arranged jointly by the Purdue University and West Lafayette Community Partnership teams. “The main purpose of the teams is to work together to build on the strong relationship between Purdue and the city of West Lafayette,” said Beverly Shaw, chair of the West Lafayette team and marketing and grants administrator for West Lafayette. “Those of us already here know that West Lafayette and Purdue are great places to be,” Mayor John Dennis said. “We want to share that sense of pride in our community with students who may be new to West Lafayette.” Meet and Greet is open to any West Lafayette resident and Purdue community member who wants to volunteer. The 16th Annual Meet & Greet is looking for neighborhood volunteers to help introduce the new Purdue students to the community. Walk around with your friends and neighbors on Monday August 24, 2015 from 6-7pm (or longer if you like) handing out packets of information, striking up conversations, and welcoming new people to the City. 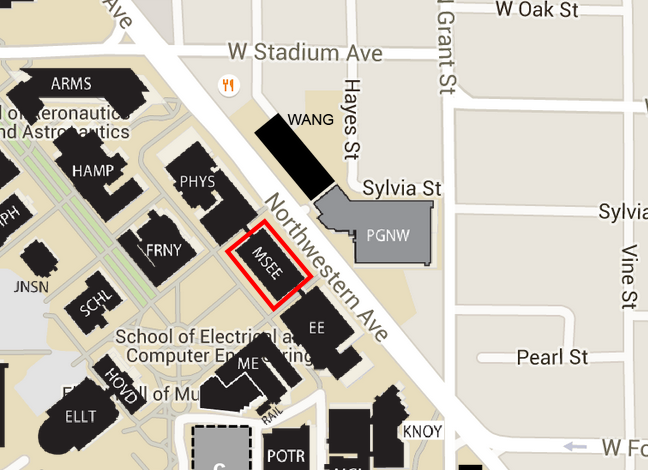 Parking available in Northwestern Garage after 5:00 p.m. This event is sponsored by Purdue University and the City of West Lafayette Community Partnership Team. 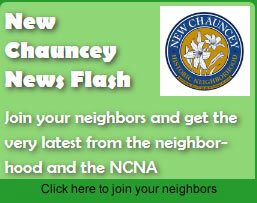 For the 14th consecutive year, volunteers from New Chauncey, the City, and Purdue will walk around the New Chauncey and Northwestern Heights neighborhoods. On the evening of Tuesday, August 27 the annual Meet & Greet of students living off campus will occur welcoming them back to West Lafayette and Purdue. There are a couple of changes to this year’s Meet and Greet , see below for details. “This is a wonderful tradition that welcomes students living off campus and shows them they are a valued and vital part of both the Purdue and West Lafayette communities,” said Melissa Exum, vice president for student affairs. “Our goal is to meet students face-to-face as they move into their new neighborhoods and ease their transition into the community. Kyle Pendergast, president of Purdue Student Government, said it is important to reach out early before people get settled in so they feel close to campus. “The closer they feel, the more likely they are to get involved” Pendergast said. 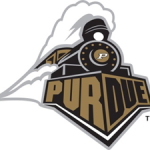 “Meg Highley (vice-president of PSG) and I created Team Purdue, our campaign theme,to stress the idea that everyone at Purdue is a team dedicated to improving our university. We can’t do that unless all students are involved. “Meet and Greet” is an especially important event for newly arrived graduate students living the area, stated by Blake Hylton (president o f Purdue Graduate Student Government). By nature of our programs, we don’t often have the opportunity to engage in the larger campus or West Lafayette community, so events like this can really go a long way towards building those bridges. For those students with families, the involvement of city representatives like Mayor Dennis really goes the extra mile to make them feel welcome here in West Lafayette, Hylton said. This year the volunteers will meet at 5:30 p.m. at the Neil Armstrong Hall of Engineering at the corner of West Stadium Avenue and Northwestern Avenue. 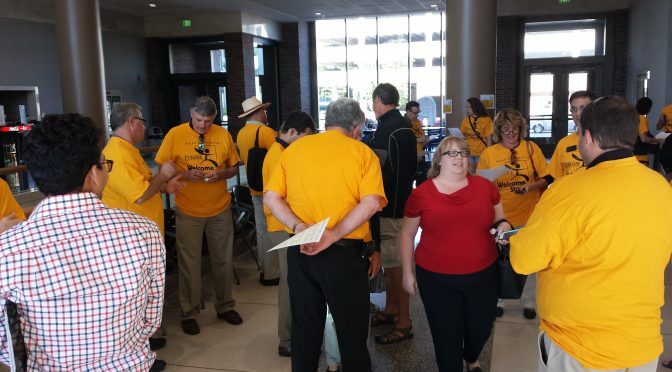 Volunteers receive a gold Meet and Greet T-shirt, a street map of the near-campus neighborhoods showing student residences, and door hangers with information about Purdue and West Lafayette that they will leave at each residence they visit, Exum said. Volunteers will then divide into small teams and walk around the neighborhoods to make their visits. Meet and Greet is arranged jointly by the Purdue University and West Lafayette Community Partnership teams. Exum is the chair of the Purdue team and Pendergast is a member of the group. “The main purpose of the teams is to work together to build on the strong relationship between Purdue and the city of West Lafayette,” said Beverly Shaw, chair of the West Lafayette team and marketing and grants administrator for West Lafayette. 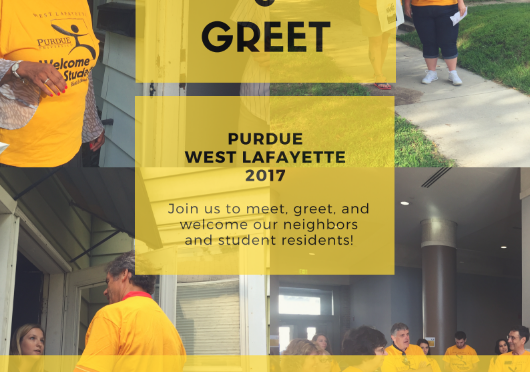 Meet and Greet is open to all West Lafayette residents and Purdue community members who want to volunteer.